this is a pic of what the book is called and if you think you might know what it is about. this is were raymonds sister is running the race and is really fast. 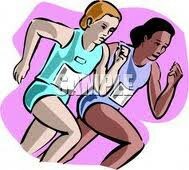 the theme is when raymonds sister is running in a race and then her brother runs with.